They’re on the move, and they’re loose! 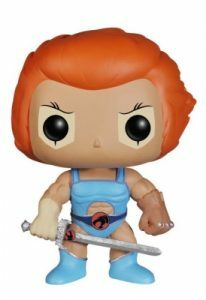 Thunder, thunder, thunder…Funko Pop ThunderCats! Collect the entire Pop! Television set that pits the ThunderCats against the evil Mumm-Ra. Those who watched cartoons in the late 1980s may remember (vaguely) an animated program—ThunderCats—featuring cat/human-like aliens from Thundera. 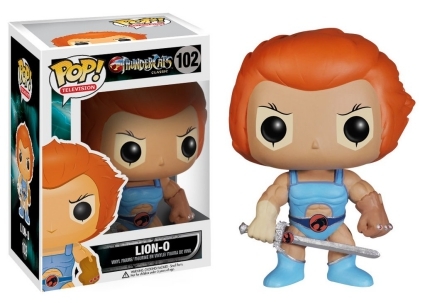 The group is led by Lion-O, who also kicks off the Funko Pop ThunderCats line. Likely the most familiar subject with his wavy red-orange hair and imposing stance, Lion-O wears a blue leotard that adds matching boots. 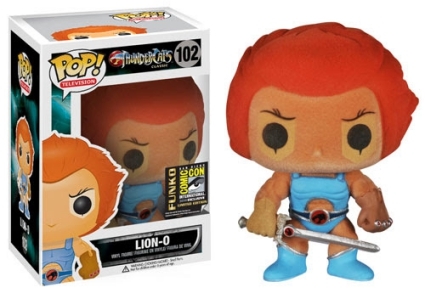 Along with the main figure, the Lion-O flocked variant, a 2014 San Diego Comic-Con (SDCC) exclusive, also wields the Sword of Omens. 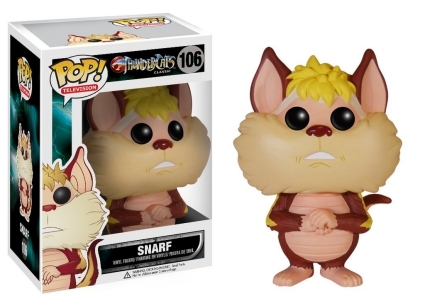 Shop for Funko ThunderCats Figures on Amazon. 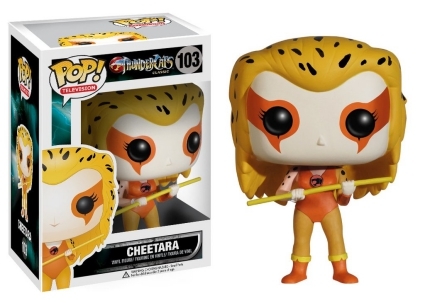 Holding a baton with both hands, Cheetara's stylish blonde hair with black spots (not highlights!) 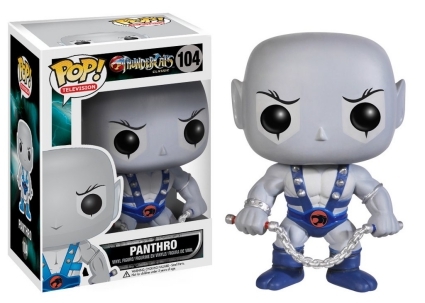 is combed back, while a bald Panthro is prepared to fight with nunchucks. Despite Panthro being fearful of him, Snarf is posed with his paws together, as if he is nervously wringing them. 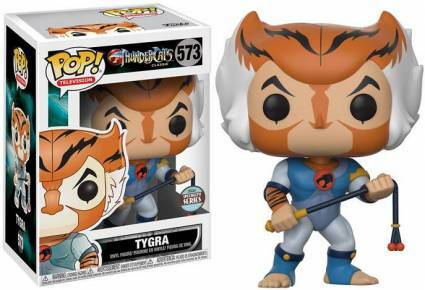 Complete with tiger stripes, the Tygra figure is an exclusive issued through the Funko Specialty Series program. 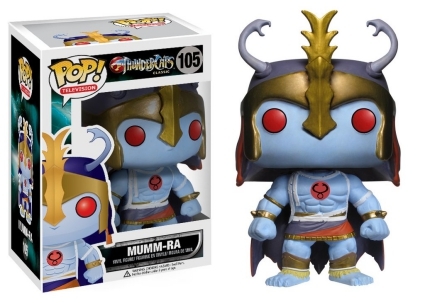 The main adversary for the ThunderCats, the demon priest also known as Mumm-Ra wears a gold helmet and gauntlets. 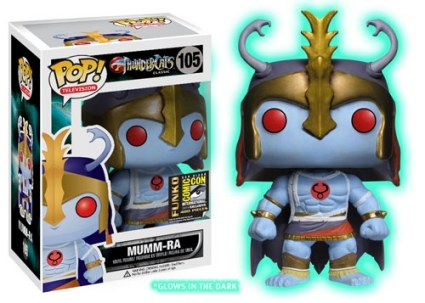 Requiring more work to track down, the Mumm-Ra glow-in-the-dark variant is a 2014 SDCC exclusive limited to just 480 pieces. Funko POP! Television TV Thundercats Cheetara #103 Vaulted w Protector! We have even more details about ThunderCats collectibles in our other guides.